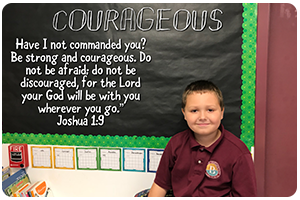 Bayshore Christian School continues connecting children and families to Christ through Christian education. As an independent Christian school, our ability to meet the changing needs of our student body rests entirely on a combination of tuition, fees, and charitable support. 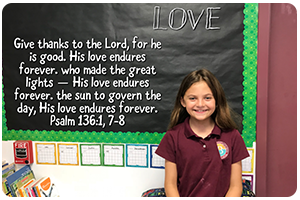 Each year our donors are parents and grandparents of current students and alumni as well as community members who appreciate the value of a Bayshore Christian education. We thank you for your support, which helps us continue our tradition of excellence. Since 1971 Bayshore Christian School has been developing Faith Warriors. With your continued support we continue to be successful in our mission to serve Christ in the Tampa Bay community and beyond through our students. 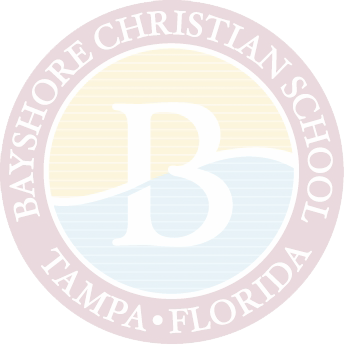 Below you will find information about supporting our mission at Bayshore Christian School. You may contact development with questions by calling (813) 839.4297. Where do donations and contributions go? Why should I donate if I already pay tuition? As we strive to keep tuition affordable for all families, tuition does not cover the full cost of educating a student. There is a financial gap per student each year. We count on donor support to fill the gap and aide in keeping tuition affordable for all those who wish to enroll their child/ren at Bayshore Christian School. Why not raise tuition instead of asking for donations? A significant increase in tuition would greatly impact the social and economic diversity of the school. This same diversity is what makes Bayshore unique and provides a wonderful environment for our students. As tuition increases, the middle-income families are greatly impacted. Lower income families will qualify for financial aide, the more affluent families will have less of an impact by tuition increases. For this reason, we count on your donations and support. 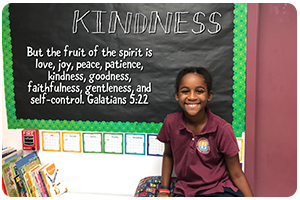 Every donation is important and will impact a student at Bayshore Christian School; no amount is too large or too small. How is financial aide determined? Our families each enroll in our FACTS system for tuition payments. This same system will play a role in determining each family’s financial need. This is privileged information and only the final qualifying result is shared with the school. Along with the FACTS results, each family is asked to write a letter explaining their family situation and needs. These two pieces are submitted to an anonymous financial aide team for review and final determination. Can I designate my gift to Bayshore Christian School? What are the donation gift levels? The following gift clubs will be acknowledged each year in the Head Master’s Annual Report, “Honor Roll of Donors.” Each summer, we invite contributors to the Head Master’s Club and above (donors over $1,500) to the new annual Head Master’s Chapel and Thank You Brunch in recognition of their leadership and generosity.